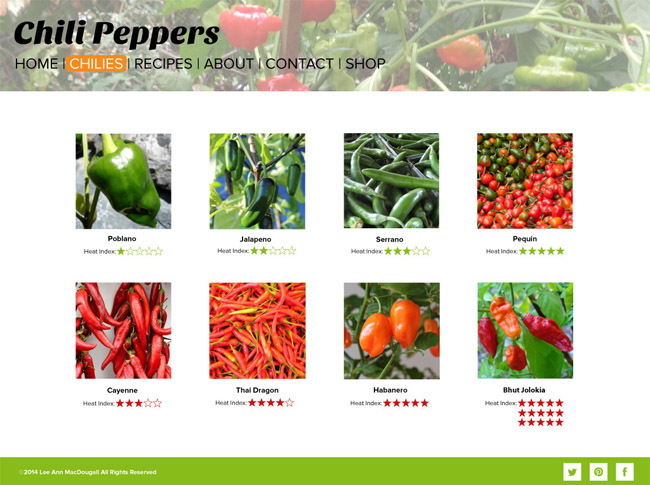 Web page mockups for a planned WordPress custom theme. 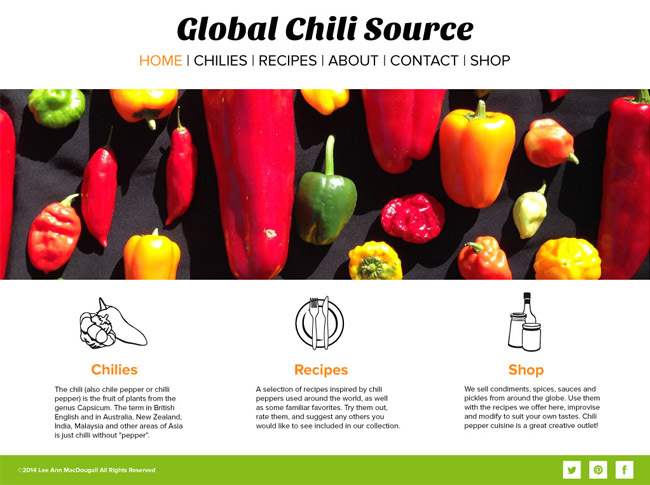 The site’s purpose is to be a resource of information and recipes for global cuisine focused on different types of chili peppers. 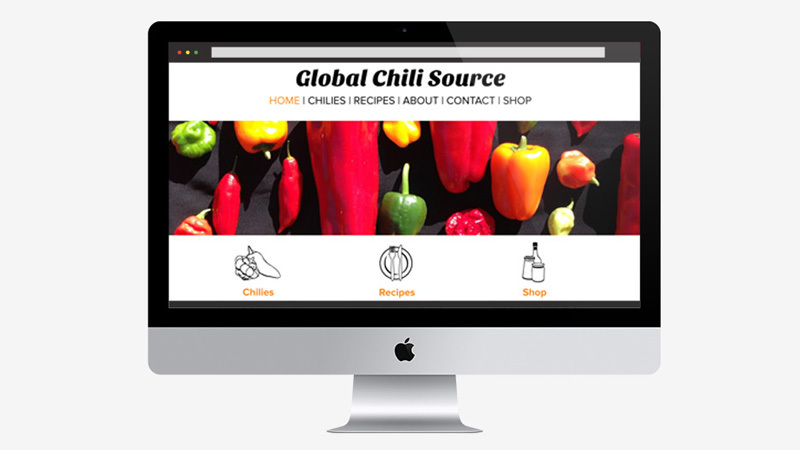 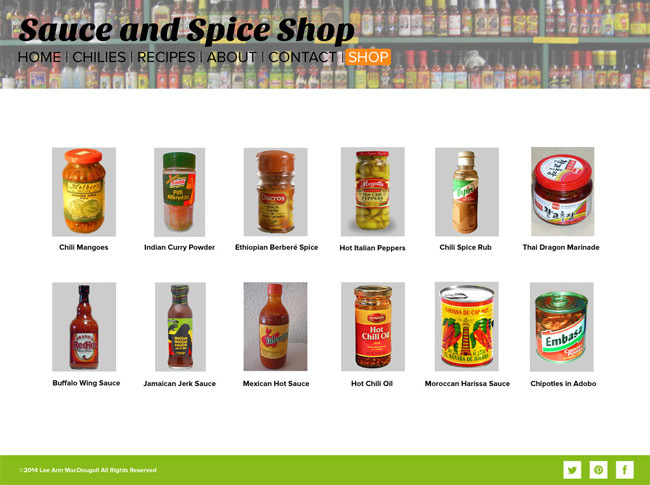 There is an e-commerce page for purchasing products made from chilies. 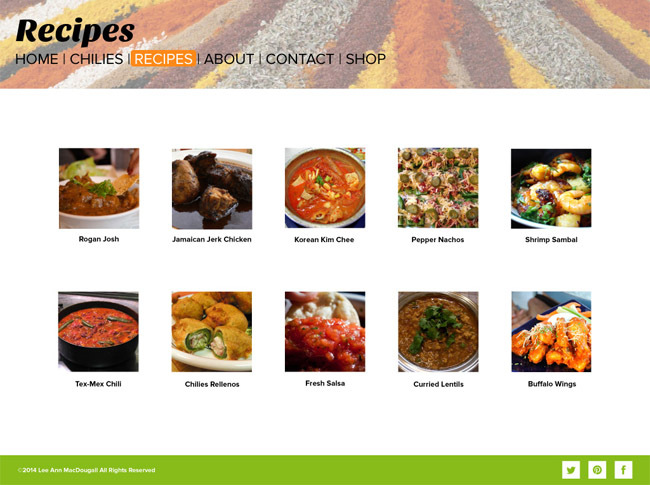 Responsive features make this a resource that can be used for planning meals and while shopping for ingredients. 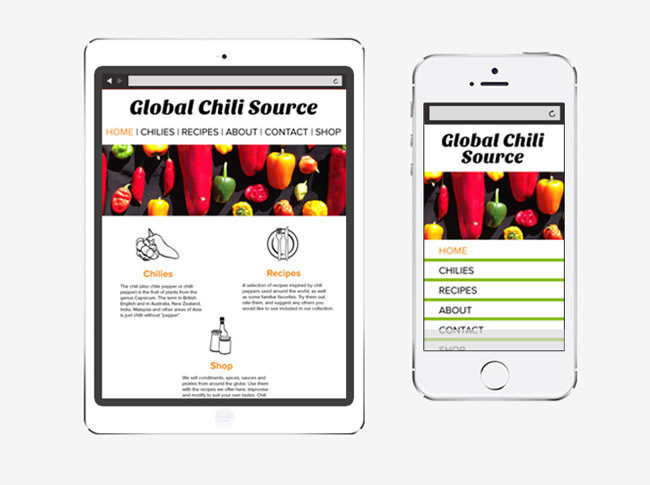 The mockups were created in Adobe Illustrator and Photoshop.